TOD 1 or TOD2 | How to Choose? One of the most frequently asked questions we receive is whether to go for TOD 1 or TOD 2. Let’s go through the basic differences and find out which one is for you! First off, we do not believe that clipping your signal by a diode is the way to go, when trying to create great overdrive tones. This is the approach taken by the vast majority of overdrive pedals out there today, but in our view it takes a lot more than that to make an overdrive pedal sound, react and respond like a tube amp that is being driven hard. That is why we spent years on developing and fine-tuning the TrueOverDrive concept. In short, we take a cascaded-gain-stages approach, letting a series of analog components feed each other to gradually increase the overdrive. This is not only a great-sounding solution, it is also one that feels a lot more like playing a real tube amp that allows you to clean up your tone simply by using the volume knob on your guitar. This concept is the same throughout our entire range of overdrive pedals, including both TOD 1 and TOD 2. So… TOD 1 or TOD 2? 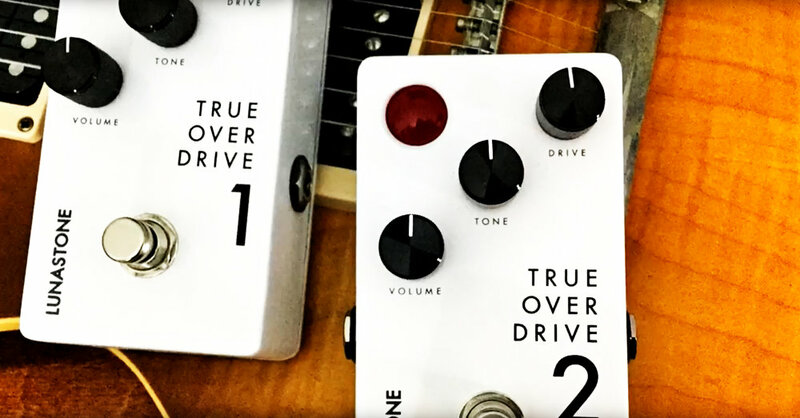 TrueOverDrive 1 is voiced like Big Fella with a very transparent and natural feel, but also one that really opens at higher volumes. In other words, TOD 1 is your perfect match for gigs at larger venues, or whenever you find yourself in a situation where a full or half stack is having your back and you can crank up the volume good. Once you do that, TrueOverDrive will be performing the best and simply add overdrive as it was meant to be to your guitar sound. Think BIG, think TOD 1! But we all now that not every gig is at a stadium with a wall of cabs, or in a large club where for example a 4 x 12″ cabinet is the way to go. Enter TrueOverDrive 2…! The reason for this is that once you add an overdrive pedal to a small combo, you get very little help in the low end, and you can end up feeling that your sound is somewhat weak in that department. TOD 2 compensates for this and makes it more suitable with for instance 1×8″, 1×10″ or 1×12″ combos, playing at lower volumes than what you would, using a full-scale stack. Think compact yet FAT, think TOD 2! Having said that… Maybe listening to the pedals makes even more sense. You can’t compare these sound clips 1:1, as they are recorded differently, through different amps and at slightly different gain settings, but they should be able to give you an idea about the basic difference in tone.